Today, a precious child in our community, River Sivanne, has gone home to her maker and my heart is heavy for this family. Dear River Sivanne, though we have not known you long, you and your family have touched our lives. You have pulled strangers together from all corners of the world. It is more than many can say even when they have lived until 100. Over the last two weeks since I first heard that you were fighting for your life after drowning in a pool, I’ve wanted to hold my children tighter and remember that time is short – to do things like run in fields of dandelions, explore with them, and create memories together. It’s caused me to hold my tongue when I’ve wanted to say something unkind and be quicker to apologize when I’ve hurt someone I love. 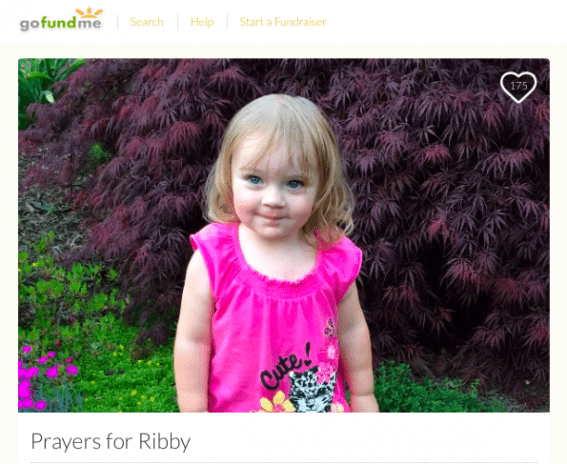 Ribby, your life and your story, tragic as it is, has mattered to me and our community. Today, this precious life emerges from this horrific cocoon. Today, Ribby earns her wings. We will ALWAYS love you, baby. 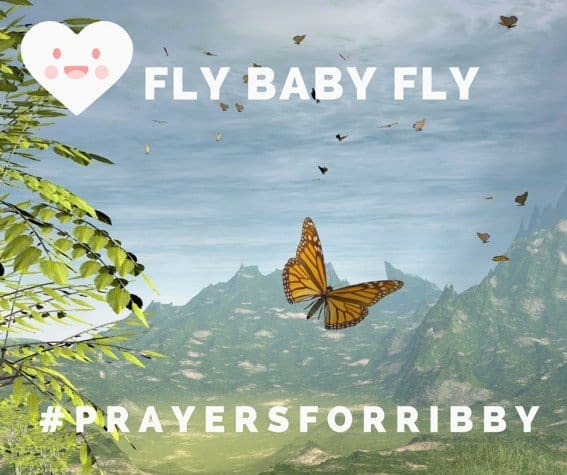 Please take a moment to send our love and support to this family as they celebrate Ribby’s life. Leave a message to Gretchen and her family either here or on her Facebook page, and consider sending a gift via her GoFundMe page. Godspeed, River Sivanne. It’s summer and we all love cooling off in the pool. In honor of Ribby, Katie Bodell, our blog editor shares a her personal story of when she and her three girls almost drowned a few years ago. She reminds us of all the things we can do to stay safe while enjoying the gift of water play. Take a moment to take this refresher yourself and share these tips with those you love who have children. Hugs and prayers from our family to yours, Ribby.